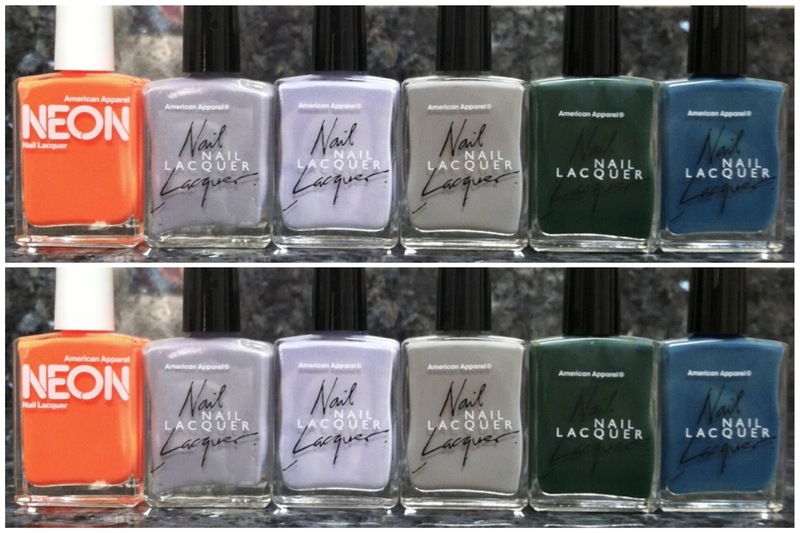 I went to American Apparel the other day to pick up more Nail Lacquers. I'm impressed at the wear of these lacquers. I usually wear Essie, O.P.I and CND. These have stayed on really well especially on my pedicure. My nails on the other hand have chipped only because of frequent cleaning and washing. I also use CND basecoat and Seche Vite Top Coat. Here are the shades from left to right.